then found a nice reversal pattern on GBPCAD .. however it took hours and 2 tries to actually get things moving in some way. 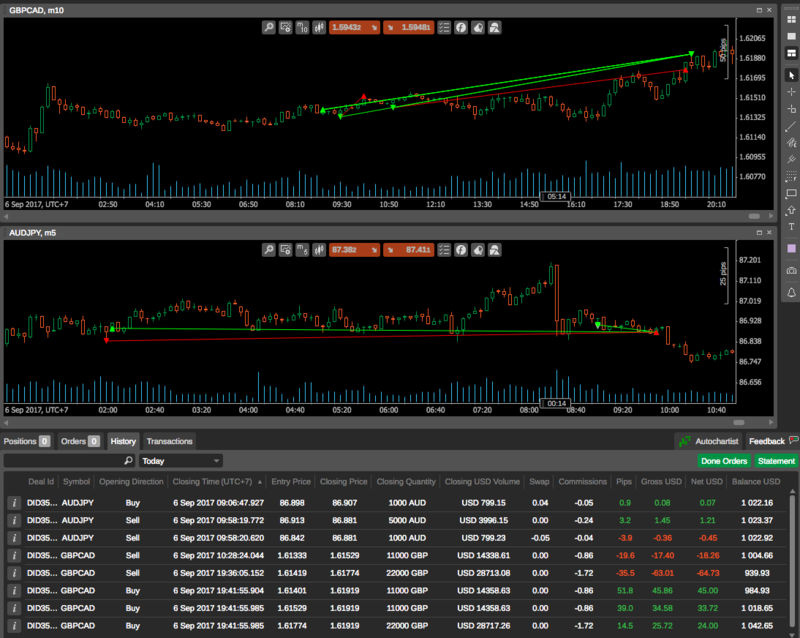 turned out everyone was waiting for the Interest Rate Decition for the Bank of Canada .. so the market where very quiet. everything went well after the 3rd try. paid for all the trials before and made us a nice 2.1% for Today. Totalling Balance: 1042.66 / 4.26% Gain.